I took these photos with my iPhone. I also took my Fuji, but the photos are still on the SD card. When I first read about cameras with built-in wifi that enables you to wirelessly transfer the images to computer, I thought it was a gimmick. But the truth is that in a world of convenience, everything that is even a little bit less convenient becomes a chore. So, back to the tale of a week in London. We spent a week there and we were blessed with good weather so we spent a day at Kew Gardens. The magnolias were in bloom and they were staggeringly beautiful. And we went to the Wildlife Photography Exhibition and to an exhibition on Greek sculpture. And to some other things like sitting out at the South Bank Centre and watching the world go by. It was a full week and just what we needed to dust away some cobwebs. 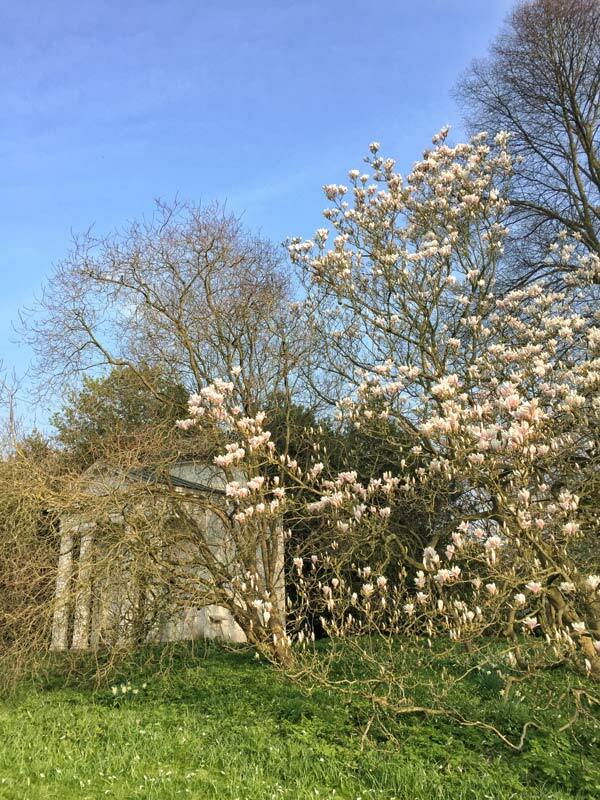 The photo above is from near the entrance/exit to Kew and I thought it would look nice with the magnolia framing the little building. I am not sure what the building is, probably a little folly or gazebo in classical style, built to look cute - which it does. 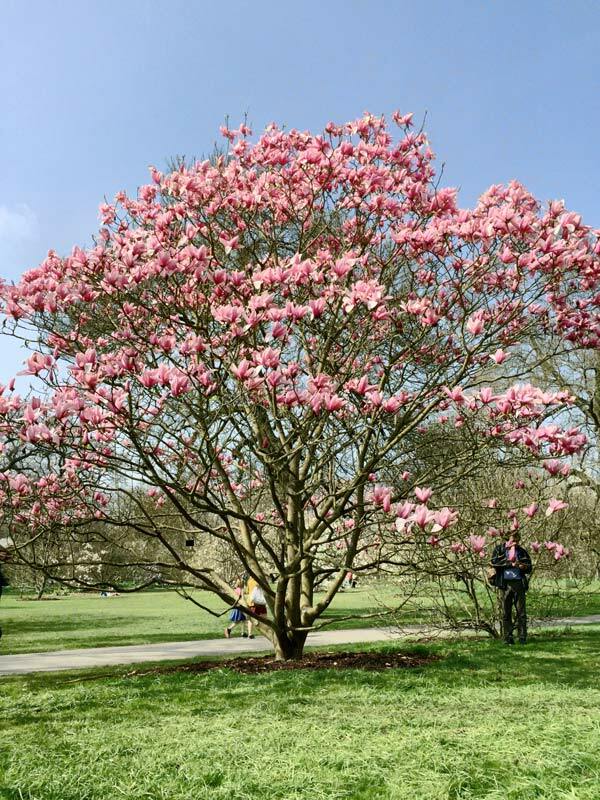 The next shot is a pink magnolia, also at Kew. We were all ooh-ing and aah-ing over it and you can see someone admiring it. And you can see how huge the flowers are. 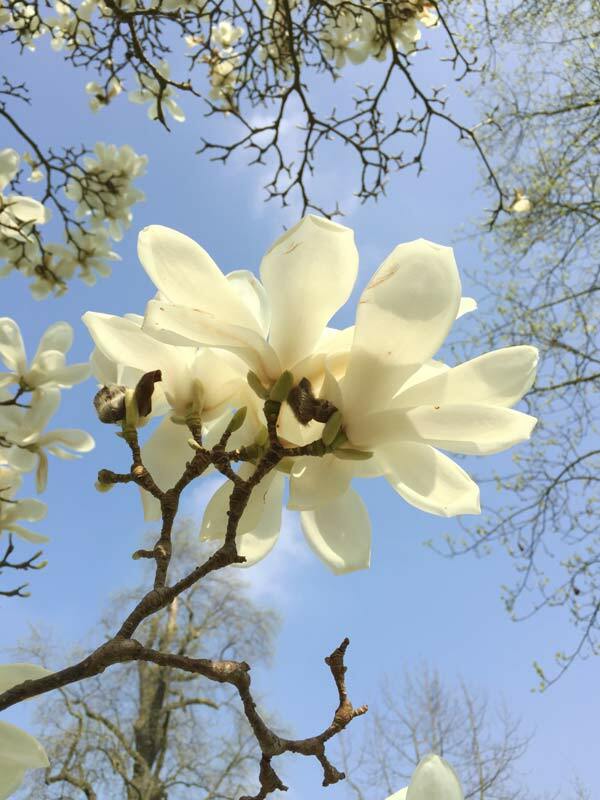 And then there's a close-up of another magnolia - a white one that was deep into the gardens. We passed it as we were stalking a green woodpecker that was flitting low and pecking on the ground. Kew Gardens covers 300 acres (120 hectares) which is big for London and maybe for anywhere in the UK. I'll keep my voice low because I am sure there are developers licking their lips at the prospect of all that land if it were ever to become available for development. 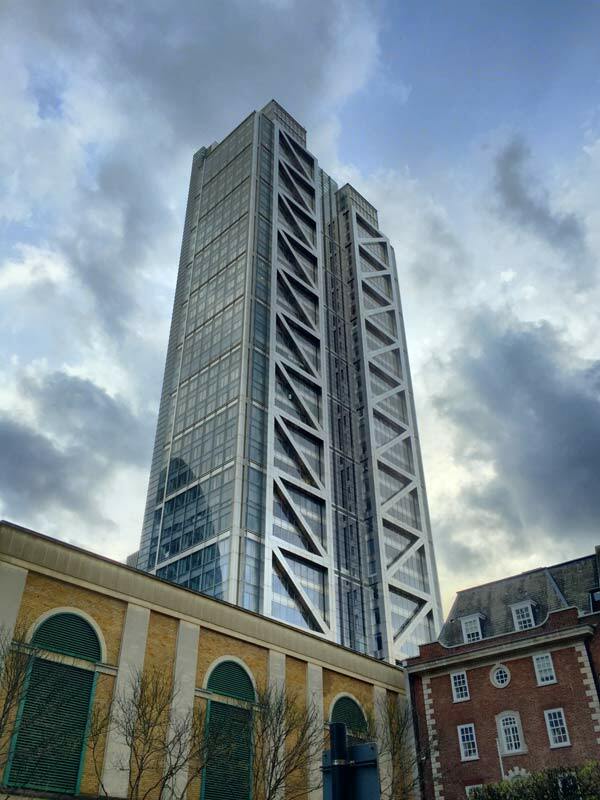 This is Heron Tower. I've photographed it before and it always makes me raise my camera/phone. 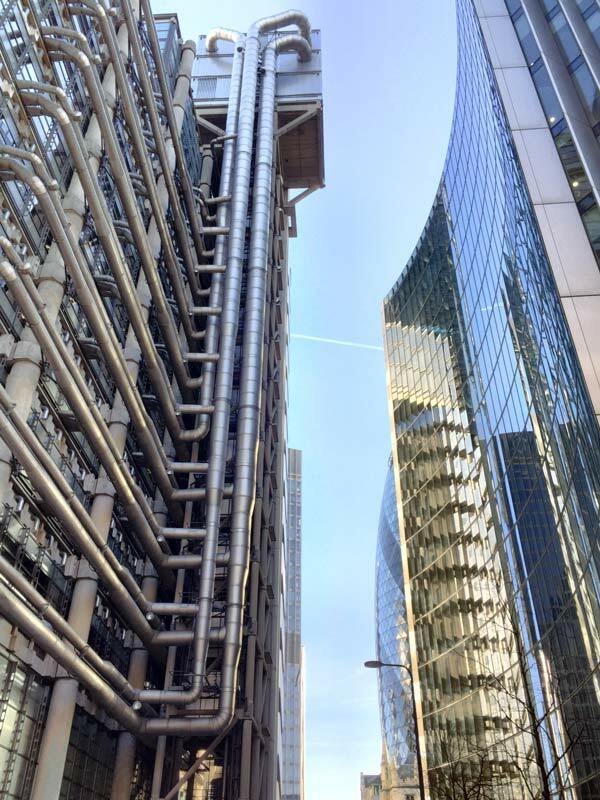 It, and other even more massive buildings now surround the city of London (the financial district of London), are like invaders from another planet (think Tom Cruise in War Of The Worlds). There are lots of churches in the financial district and they are dwarfed by buildings like the Lloyds building. Here's a shot of it (it's the building on the left) and as you can see, it is an inside-out building like the Pompidou Centre in Paris. All the pipework is on the outside for easy maintenance. I saw this van in the next photo when I was on my way early one morning to catch the inflow of people going to work in the morning across one of the London bridges. Those photos are on my Fuji - so watch out for an article about those. I like the meeting of ideas on the van. If you are not from the UK then you may not be familiar with the fact that lots of shops have signs along the lines of 'No cash kept on these premises overnight.' And the leading supermarkets in the UK do home deliveries. You shop on line and they deliver. 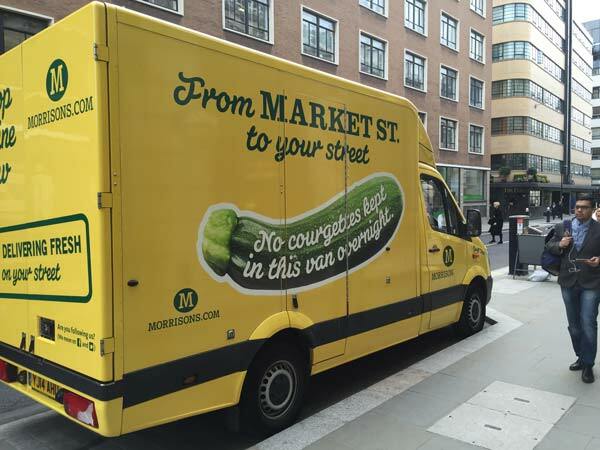 They have cute messages on their delivery vans, like 'Freshly clicked'. And here is a period building - Osborne House - also in the financial heart of London. I wonder whether there is any relation to George Osborne, the Chancellor of the Exchequer? 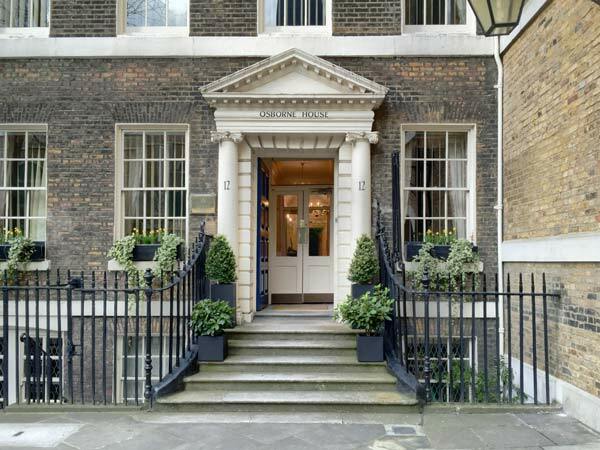 It was occupied by the Lord Mayor and the City Of London council - or something along those lines - and is now insurance offices or something. 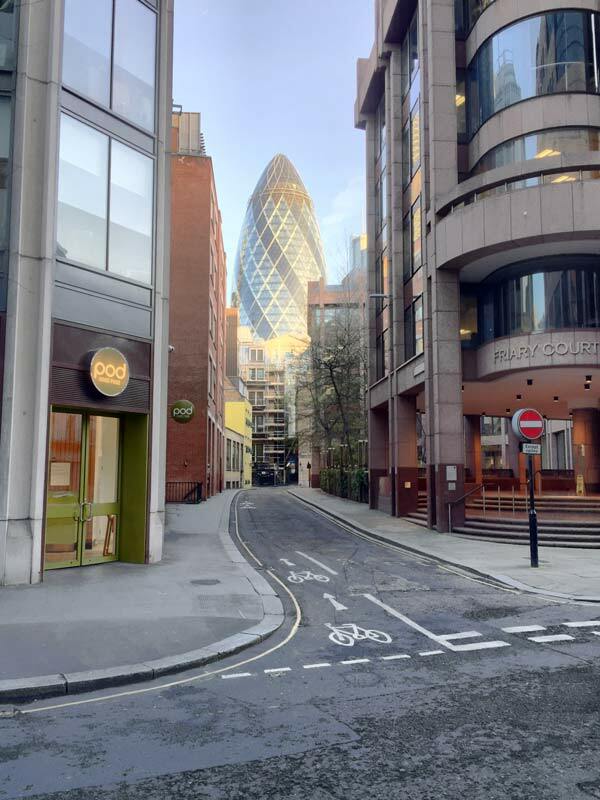 The gherkin was built after the Baltic Exchange was blown up by the IRA in the 1970s. On this visit to London I happened to go into a church near here. I like to see what they look like inside - many of them being very old. The one I visited was St Botolphs Without Bishopsgate, and there was a leaflet inside that described how it survived the Great Fire Of London without damage. And how it survived the Second World War with just a couple of windows blown out. But it didn't survive the blast from the Baltic Exchange bombing and lost its windows and its roof completely. 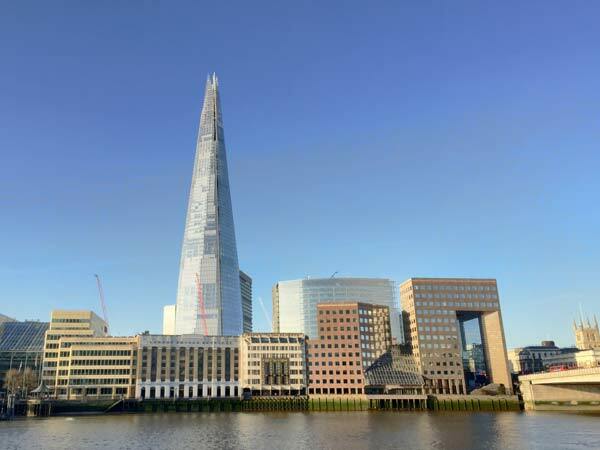 Finally, the last photo is the Shard on the south bank of the Thames - more about that when I I process the Fuji photos.